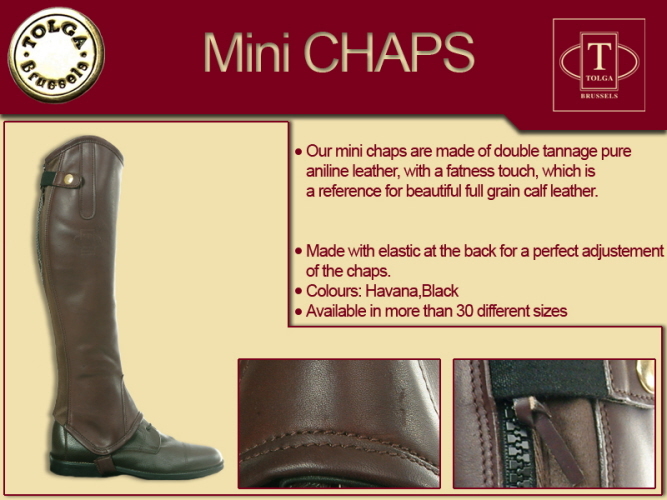 Tolga's Leather Half Chaps will fit you as if they were custom made, with numerous size combinations to customize your fit, you are sure to find great comfort, and they features special stretch leather panels which help provide a more tailored fit. The Precision Fit Equestrian Half Chaps are made of premium supple full grain leather, and feature genuine YKK® zippers resist dirt and debris. They also have snap closures on top and bottom.